Thankfully for the majority of time (I hope) I am a loving, patient, caring and fun mum who is raising 2 well-adjusted and lovely boys, but every now and then emerges my nemesis – cranky mum. Sometimes she appears without warning, scaring all those within a 50metre radius. But most of the time, just as Lois Lane falling from the sky would summon Superman, the Bat signal would hail the Caped Crusader, or a kid in a well would call Lassie – there are certain situations guaranteed to ensure a visit from Cranky Mum. Here are my top four…. Lack of sleep. Well this is just a given any day of the week now and my go to excuse for all instances of irritability, forgetfulness, lateness, stupid comments or wardrobe malfunctions. And there are a LOT of all of these. Refusing to sleep. This is a MASSIVE catalyst for me. Baby sleep time is MY time (it should be my sleep time too but who follows that advice?) and every minute I have to sit there cajoling them into lullaby land is another minute of my sanity ticking away. It’s not much to ask right? We’ve just spent 15 minutes reading stories, 20 minutes in the bath, 30 minutes playing blocks, half an hour having dinner together, an hour down the park, the morning at playgroup, 10 minutes playing with stickers (you) an hour removing them from all the furniture and carpets (me)….all day we’ve been hanging out. The whole day is yours, little ones. But as soon as you’re in bed that’s it – I’m tapping out and if you step out of that bedroom for any reason it will be Cranky Mum that meets you. Whining. I’m pretty sure I don’t need to explain this one to any parent but those days when your child forgets every word that they’ve ever learned and replaces it with a sound like a strangled guinea pig I just want to bite my own ears off. I absolutely cannot stay calm in the face of whining. 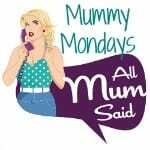 Which of course just exacerbates the problem – Cranky Mum is not best known for her sympathising skills. I’m actually blaming Fireman Sam for some of these events – since Mr Toddler has become an avid fan he’s started doing this high pitched squeal like he’s stuck on Pontypandy mountain in the middle of a forest fire – it was when he started calling me ‘Mam’ in a Welsh accent I realised he might be watching a bit much. Anybody else have a scary alter ego? Please, please, please tell me about it below so my dark side has some company! Oh, I definitely have a Cranky Mum lurking inside, too! The Fireman Sam whining description is golden. Norman Price needs to be sent to military school! YES! It must be the absence of a father figure and the overly flirtatious mother. I have a bit of a cranky side too. I also become disappearing mum- when things get a bit overwhelming- I hide in the cupboard or toilet (normally with chocolate).